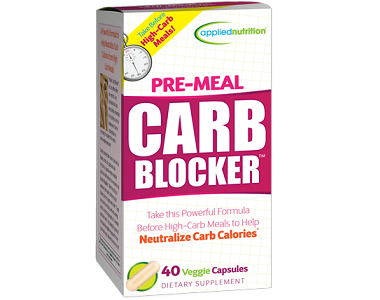 Applied Nutrition Pre-Meal Carb Blocker Review - Does It Work? 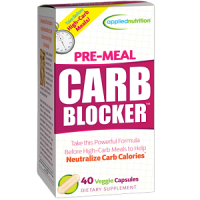 Carb-blockers seem to be very much in dietary vogue, so in today’s review we look at one such product on the market, namely Pre-Meal Carb Blocker. As the name suggest, carb blockers stop carbohydrates from being digested by the body. The carbs pass through the digestive tract, along with the associated calories. In recent years, carbohydrates have fallen out of favor as a food group. They have been linked to fat storage, weight gain and an increase in BMI. Consequently, foods such as pasta, white breads and cakes, potatoes, cereals and rice have been viewed as ‘bad’, as the body breaks them down into sugar which is stored as fat if not used. Due to their low nutritional content when compared to other foods, they are also often spoken of as ‘empty calories’. This is particularly true of carbonated drinks and alcohol. However, carb blockers alone cannot keep the weight off. They are an aid to losing weight, but staying in calorie deficit over the long term is in important. As a result, eating wholesome, balanced diets are important, as is exercise. What’s In Applied Nutrition Pre-Meal Carb Blocker? The supplement uses white kidney beans, which is unsurprising. These legumes have been linked to weight loss as they stop the enzyme amylase from being produced. The body uses amylase to break down carbohydrates into a form which can be digested. Consequently, lowering amylase levels means lowering the total carbohydrates which can be taken up in the body, and their calories. Additionally, the beans are fiber-rich. It means you will enjoy feeling sated for longer. Carbs also cause sugar spikes, which bring on sugar cravings. So in total, these beans also suppress the appetite as well as the urge to snack. How Do You Take Applied Nutrition Pre-Meal Carb Blocker? Take 2 tablets a day before starch-rich meals with water. Note that this exceeds the maximum recommended allowance of 1500mg per day. The supplement is unsuitable for those with digestive disorders and children. It is also not suitable for pregnant or nursing women, or those hoping to fall pregnant. You can buy a box of 40 capsules for $12.99 on the product website. No bulk discounts apply that we were aware of. At the time of this review, it cost only $7.90 on Amazon. We could not find any applicable manufacturer guarantee. There is scientific evidence that white kidney bean extract is linked to a decrease in weight, so the product should work. However, the amount of weight loss for each individual would vary. The extract used is concentrated so the supplement should contain high amounts of potent bio-active benefits. Owing to a lack of any seeming guarantee, we cannot freely recommend this product. Then again, given the low price range, it may be worth a try as the risk is somewhat minimized. In addition, consumer reviews on this supplement are extremely scarce so it is difficult to state how the product works in practice. We would also prefer to recommend a product that falls within daily safety guidelines completely. 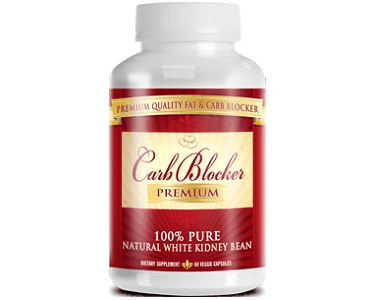 White Kidney bean extract in general can cause bloating and other digestive ailments. You should not take them indefinitely as they have not been totally cleared as safe for long-term use.